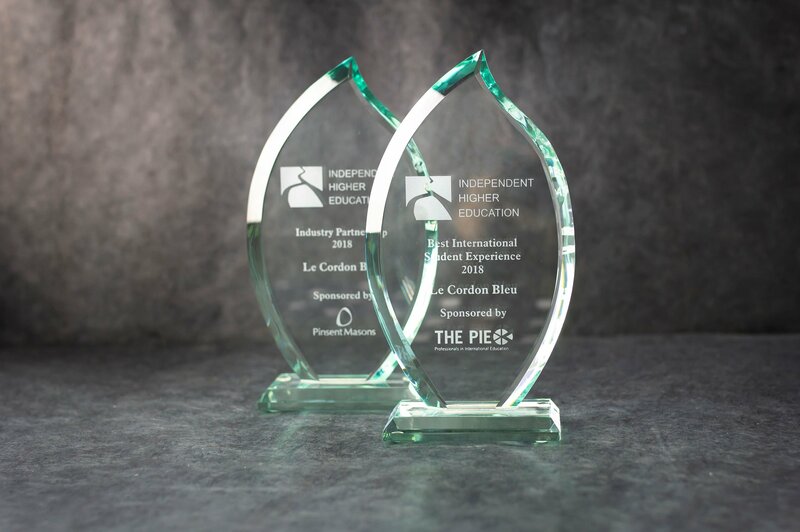 Le Cordon Bleu London is delighted to announce that it has won two prestigious Independent Higher Education Awards at the 2018 IHE Annual Conference, which took place on Monday 26th November. Industry partnerships have become ever more important for Le Cordon Bleu, as it continues to develop programmes which provide students with the best possible experiences which include internship placements, demonstrations from guest chefs and career days. Le Cordon Bleu's industry partners represent some of the hospitality sectors top employers in the United Kingdom and across the world, and help to ensure that the education remains relevant to current industry trends. Key judging criteria included supporting returning learners through industry focused education, excellence in student graduate outcomes relative to industry, and innovative approaches to building and maintaining industry partnerships. Le Cordon Bleu London are proud to be recognised for the support that the international network of schools offer to students from around the world, whether in recruiting, educating or supporting students every step of the way. For this award, the judges looked at the bespoke support offered to international students from application to course completion, including assisting with visa requirements. Le Cordon Bleu's international reputation for educational excellence and the innovative programmes which support cultural exchange between international and UK students were also taken into account. The full list of winners and runners-up from the Independent Higher Education Awards 2018 can be found here. Visit programmes page for further information about Le Cordon Bleu London's courses.